Discussed at the pub night were plans for an offroad day on Sunday, November 4th. The plan is to head up Mt. Sicker and out via Hillcrest to find some easy trails for beginners who are new to offroad, but it should be fun for all. The entire route can be done in a stock Land Rover. 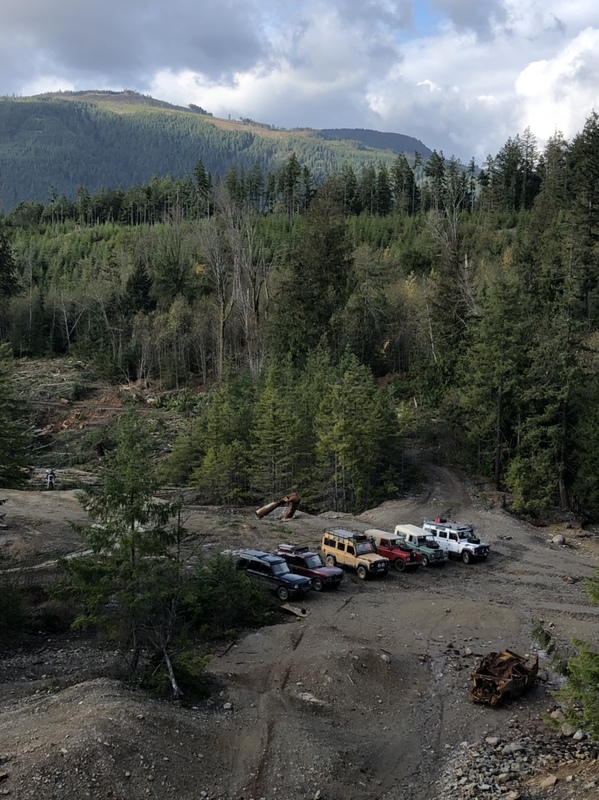 We will meet around 8:30 for a hearty breakfast at the Red Rooster Cafe (8432 Trans-Canada Hwy, Chemainus, BC V0R 1K4) and leave at about 9:30 from there into the mountains for some fun, we should be back on the road no later than 4:00. There are plans for a convoy up from Victoria as well, but nothing is decided yet. And as per the usual bring a lunch, chair, shovel, camera and radio if you have one. Marg and I are in. I need a ride as usual ( 2 Rovers but neither one is running). I have made a reservation up there for 10 people so if your coming please reply as soon as possible to this forum. The Breakfast is excellent highly recommended. 1969 Dormobile in even more pieces than it was last drive. We will be there. Leaving Brentwood around 7:15am I guess? I sent you a PM with my phone number Franko. I got the day off work so I will be there and will likely bring my son (assuming he gets his homework done). If the Victoria folks are interested we can meet up in the parking lot at the 6 Mile Pub at 7:45am for the trip over the Malahat. Maybe bring a good flashlight alone as well as all the other usual 4x4 supplies, if we are going the way I think we are there are a few neat mine shafts to look in. Bad news. I took a short trip in the Disco today and saw steam coming out from under the hood. Popped into see my mechanic and it appears I have blown a gasket. Of course, it isn't available locally and has to be ordered through the dealership! Sadly that means both Rovers are off the road and I'll have to miss the trip on Sunday. Better it happened today I guess rather than atop Mt. Sicker on Sunday but frustrating nonetheless. Have fun and I'll join you next time!! Paul here, exploring Mt. Sicker sounds like a great opportunity to try out my new rig. My 5 yr. old boy may be coming but otherwise I will have empty seats so anyone looking for a ride is welcome. See you at the Rooster! I am heading out shortly, solo, no kid. Might be a few minutes late at the 6mile r/v. If I miss everyone there, will see you up island. Last edited by jonnykilo on Sun Nov 04, 2018 7:16 am, edited 1 time in total. Thanks so much to everyone for their patience on my first day of wheelin’. I had a great time, and made it back on time - so I should be allowed to go again sometime. Who's that taking a cheeky wee to the left of the picture in the clearing? Or is it a Sasquatch??? But most likely it was the guy on a motorcycle driving around the pit. Hey folks, I uploaded about 50 high res photos JPEG to the following Google Drive. I didnt have a ton of time to do any post production, so they can use some tweaking. Please feel free to copy, save and enjoy - all I ask is for photo credit: J.A. Kouwenberg. If you have a hankering for any of them in RAW, contact me directly. It looks like you all had a great day out over there. Nice to see a good active group over on the Island still. Thanks for posting the photos. Looks like you had a great time! I'm very sorry that I missed it. Great job on the photos - almost like being there! We had a great time on the outing, thanks to everybody there! Thanks for the photo links as well!